Our friends at Filming 'Round Midtown from the Chicago area are bumping their weekly episode up to a full 30 minutes beginning tonight, consider it Episode 1. What you can expect is indepth coverage on all things indie horror in and around the midwest and more. News, interviews, random contests and happenings all around. Join the team, Heather Dorff, Deann Baker, Kelsey Zukowski and Taryn Lindsey tonight at 8 PM Central on www.livestream.com/egentv Dig on all the details after the jump. 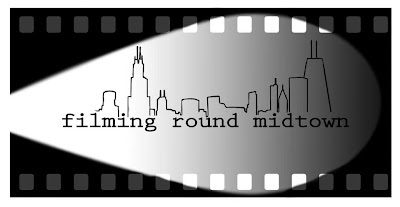 Join us for the official premiere of Filming ‘Round Midtown’s 30 minute live broadcast Indie Films News show starting this Wednesday March 7th. Watch the live broadcast online atwww.livestream.com/egentv or come in and watch the show/meet and interact with the crew at Broadcast Bar on 810 N Clark, Chicago, IL. We are also looking for trailers and event info to feature in our commercial breaks! Official exclusive announcement on The 2012 Indie Horror Film fest’s official award nomination selections. Official exclusive announcement on Matthew Cichella’s ‘Poetic’ world premiere screening. News on a few indie films in Chicago including ‘Penitence’ starring David A. Holcombe and ‘A Figment of my Imagination’ starring Dave Juehring and William Cummings III. Special segment featuring Joe Mistretta showing us a ‘how-to’ tutorial on a specific film makeup special effect. 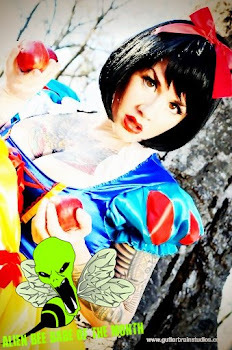 Casting Call and audition info, and more!